Give your den a dose of seaside beauty with the Cape May Cottage White Shutter Console Table. 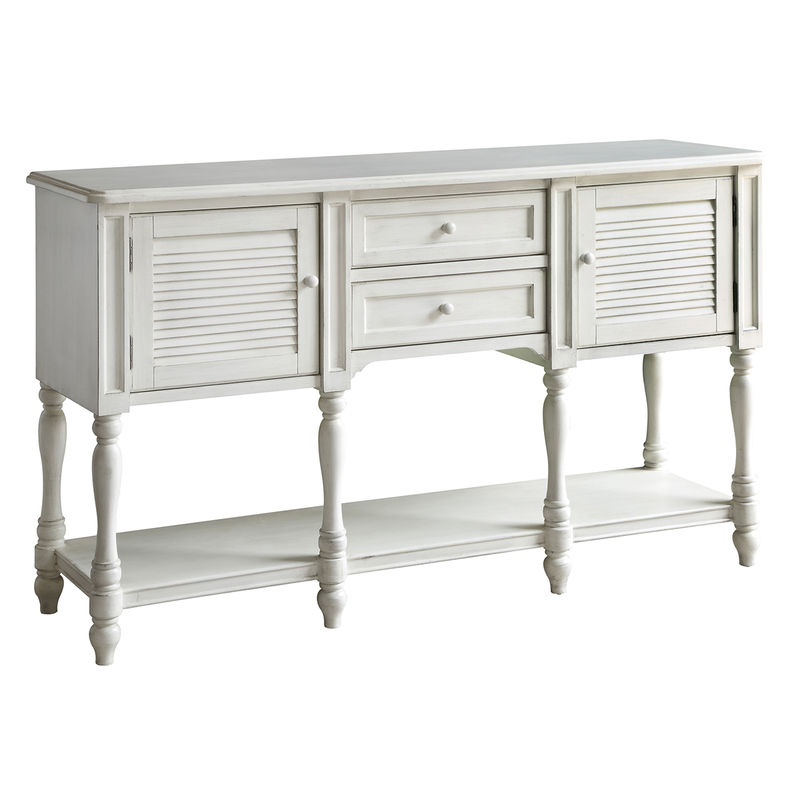 This console table features shutter doors and pretty spindle legs. Ships from the manufacturer. Allow 1 to 2 weeks. Cannot express ship this beach style furniture. For more options, we ask you to take a moment to check out our thorough range of beach style cabinets at Bella Coastal Decor today.